Located in West Central Missouri in the greater Kansas City area, Jones Bros Marine is proud to offer a wide variety of NauticStar deck boats. The engineers, designers and craftsman at NauticStar are rich in boat building know-how, and always make sure quality and attention to detail are top priority. NauticStar boats are manufactured to the highest design, engineering and construction standards for the ultimate performance, durability and functionality. 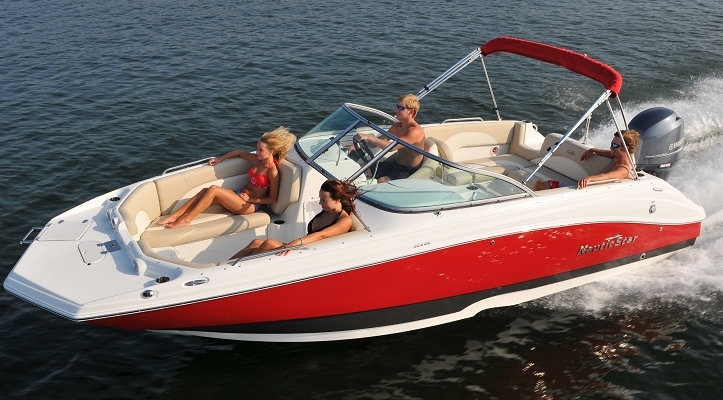 Nautic Star boats from Jones Bros Marine will get you out on the water and keep you out on the water, running smoothly all summer long, year after year. Make some waves and make some memories in a Nautic Star deck boat from Jones Bros Marine.